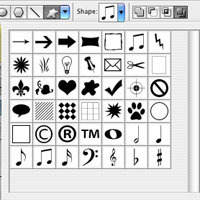 You can install Photoshop custom shapes in windows 7 by two method. First method should be used if you need to install few custom shapes. second method should be used if you need to install many custom shapes files. 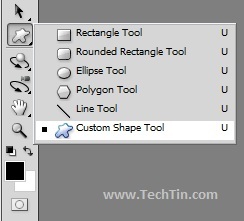 In Photoshop, select the Custom Shape Tool from the toolbar. From the Custom Shapes Options Bar, Click the Custom Shape Picker dropdown. then click the arrow on the right side of the picker. From there, click to “Load Shapes…“. Browse and load custom shape that you want to install. With this method, you will be able to install one file at a time. If you need to install many custom shapes, use second method. 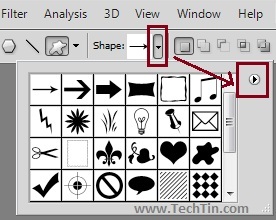 Navigate to following folder in windows 7.
paste the custom shapes files. Restart Adobe photoshop, and you will find new custom shapes installed.